The Galaxy NX (EK-GN120), Samsung’s first professional-grade Android-based camera, has been priced in the UK at £1299.99 (around $1,990, or €1,500), with British retailer Jessops listing it as available for home delivery today, and Wex Photographic listing it for pre-order. An 18-55mm OIS (optical image stabilization) kit lens is included in that rather steep price. The Galaxy NX sports a 20.3-megapixel sensor with a mirrorless (i.e. digital instead of mirror-based) optical viewfinder and 1/6000 shutter speed, and comes with interchangeable lens system. The camera runs on Android like Samsung’s Galaxy Camera (Android 4.2, to be specific), giving it access to the entire Android ecosystem and its huge collection of apps, with a plethora of features on the camera side of things. Photos can be viewed on a large 4.8-inch HD display, and shared with others via Wi-Fi, 3G or 4G LTE networks. Underneath there’s a 1.6GHz quad-core processor, 2GB of RAM, and a huge 4,360mAh battery. The Galaxy NX is basically for professional photographers who want great picture quality out of their camera but want it to run Android, in which case Samsung has the only product in the market capable of providing that combination. The price is steep, but since this isn’t your standard smartphone-like camera, it should find its fair share of buyers. 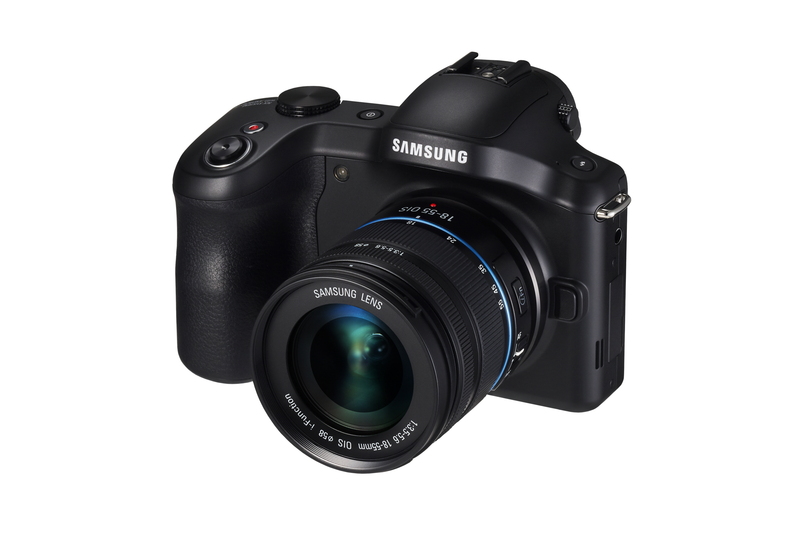 P.S: You can find firmware for the Galaxy NX in our firmware section (model number EK-GN120). if we can have duel in GALAXY NX both a Cellphone and SLR….